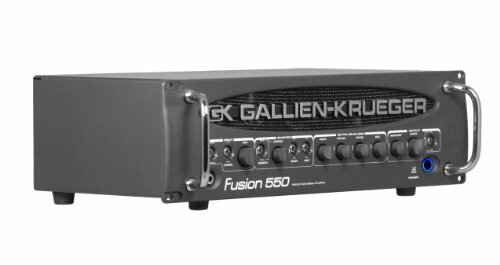 What Is the Gallien Krueger Fusion 550? Conclusion: Should You Consider the Gallien Krueger Fusion 550? As with many great companies, Gallien Krueger got its start in a garage and quickly became a much-loved company known for producing high-quality speaker cabinets and bass amplifiers. Their bass amplifiers offer a ton of power, which is great for musicians of all ages and abilities. Thanks to their continued innovation and creativity, they continue to produce incredibly powerful amps, providing musicians around the world with great options to choose from when shopping for a powerful amp. 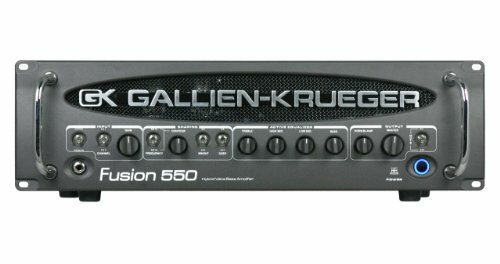 The Gallien Krueger Fusion 550 is a powerful bass guitar amplifier head. It was released over a decade ago in 2008, showing how durable and long-lasting this piece of equipment really is. Designed to offer a rich tube warmth along with a punchy power section that is so popular with Gallien Krueger amps, the Fusion 550 offers a great musical experience. Gallien Krueger took it one step further by adding in motorized controls. This means that musicians who use the Fusion 550 are able to be much more innovative in their play. These controls allow users to store two settings in the amp head that can then be accessed via the footswitch. When used for live performances and even for recordings, this makes it easy for musicians to switch between settings without slowing down, which is great for a fast-paced performance. This powerful piece of equipment is designed for intermediate or more advanced musicians who are going to be playing live. It’s incredibly powerful and not the best option for practice. While it can work for recording in a studio, it’s going to really shine when opened up and allowed to showcase all of the power that it contains on the stage. The higher price tag may put it out of reach of some beginning musicians but this doesn’t mean that they can’t benefit from this bass head if they can afford it. It’s fairly simple to use, making it a great choice not only for touring musicians but also for churches who are interested in investing in their praise bands and want to showcase their bass players. The Gallien Krueger Fusion 550 ships with a footswitch, which makes it easy for musicians to quickly switch between the two settings on this equipment. This footswitch is designed and manufactured to the same high standards as the Fusion 550, which means that it won’t fail when used for live performances. Musicians will need to have their instruments already on hand when they order the Gallien Krueger Fusion 550 so that they can set up and start playing right away. A high-quality bass is going to sound great when used with the Fusion 550 but even lower-quality instruments will sound wonderful, thanks to the great value of this bass amp. It’s easy to sculpt your sound when you use the Gallien Krueger Fusion 550. That’s because it features presence controls, EQ, and contour options that allow musicians to easily control every aspect of their sound without any problems. The motorized controls on the Gallien Krueger Fusion 550 change when you use the footswitch to toggle between channels. The DI, effects loop, tuner out, and speakON connectors ensure that this amp head is great for all musicians, including advanced bassists and professionals. Additionally, beginners can benefit from the Fusion 550 even though they may not fully understand all of the controls. 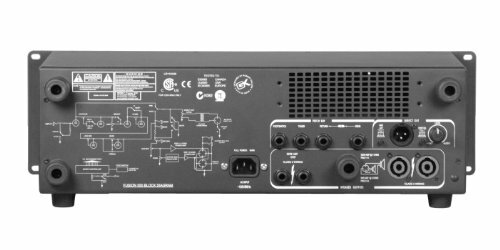 The DI output on the Gallien Krueger Fusion 550 relies on an isolated transformer. This ensures that the Fusion 550 has a very quiet operation and that musicians don’t have to worry about a lot of background noise. Although the Gallien Krueger Fusion 550 is a great option for a lot of musicians, the higher price tag can be a bit of a turnoff, especially for beginners who don’t have a very large budget for buying new equipment. If you are looking for something that has the power of the Fusion 550 without the high price tag, then you may want to consider the Ampeg SVT7PRO. This piece of equipment offers one kilowatt of power and variable compression. It also has a remote switchable FX loop and mute, which makes it great for live performances. Another worthy alternative is the Ampeg SVT4PRO. This is a nine-band graphic EQ amp head with two balanced line outs, three 12AX7 preamp tubes, and five-position tone control. It’s more expensive than the Gallien Krueger Fusion 550 but offers even more control and power, which is great for advanced musicians looking for more oomph from their equipment. The Gallien Krueger Fusion 550 is a great option for most musicians as long as they can afford the higher price tag. It is absolutely packed with great features that ensure that any musician is sure to sound amazing when relying on this equipment. Because it shines when used on the stage, the Fusion 550 is best used by gigging artists and by members of a Sunday morning praise band. It’s sure to offer all of the power and control that any musician needs to really stand out in a band. This ensures that the bassist using the Gallien Krueger Fusion 550 is able to showcase his or her abilities and power when performing and recording.